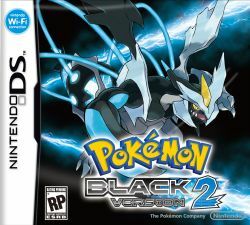 Pokémon Black 2 & Pokémon White 2, otherwise known as Pokémon Black Version 2 and Pokémon White Version 2 are the second set of games of the long anticipated fifth generation of Pokémon. These games are due for release in Japan in June 2012 and are sequels to Pokémon Black & White, running on the Nintendo DS. These games feature Kyurem's alternate forms within them; Black Kyurem in Black 2 and White Kyurem in White 2. Pokémon Black 2 & White 2 are set within the Unova region 2 years after the events of Pokémon Black and Pokémon White, and as such, a lot has changed in the region. The game begins in a previously inaccessible part of Unova to the southwest as you take control of a character who lives in Aspertia City, with their childhood rival. There are various other new areas in Unova, with their own new Gyms and Gym Leaders. 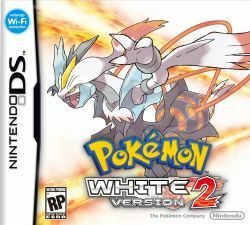 Pokémon Black 2 & White 2 carry the same mechanics of Pokémon Black & White but introduce a variety of new ones. First is the World Tournament which features many different tournaments featuring Gym Leaders and variousother powerful trainers. Next, there are the PokéStar Studios which has you create various movies by battling a variety of greenscreen characters and trainers including Brycen and Sabrina. It also features the special Unova Link feature which allows for connectivity with Black & White as well as new difficulty modes and compatibilty with Pokémon Dream Radar. The game also adds the Hidden Grottos which are dotted around Unova, providing a variety of items and Pokémon with their Hidden Abilities. As the games are set two years after Black & White, there are a variety of changes. Areas such as Driftveil City and Route 4 have received changes in asethetics while other areas like Cold Storage, Route 10 and Victory Road have been removed for various reasons. Various characters have also moved around and changed their appearance within it including Bianca, who is now Juniper's assistant, and Cheren who has become a Gym Leader. Like before, there are 8 Gyms to face in your journey through Unova as you aim to reach the Pokémon League and the Elite Four. Some of these Gym Leaders are old ones, while others are brand new. The storyline features the return of Team Plasma, who have seperated into two factions with one planning on taking over the world after decreeing N as a traitor. There are numerous other changes including changes in aesthetics, wild Pokémon, Legendary Pokémon and just general discussions with characters making it clear that these games are set much later than Black & White. The games are also fully compatible with Pokémon Black & White, allowing for battles and trades instantly between all four games. There's so much more to this game which can be found in the various pages of this section, as seen to the right.